Grill on the Hill, in pre-Grill on the Hill guise, and Best One, dressed as Thirsty Camel. Pictures from Google Street View. There are two licensing matters in Shaftesbury ward currently scheduled for consideration by the council’s licensing committee. The first is a new application for ‘Grill on the Hill’ at 89 Lavender Hill. The application is to sell alcohol between 9.00am and 11.00pm seven days a week and to provide late night refreshment until 11.30pm every night. The premises were 1st Stop Audio Visual, so this will be the first food and drink offer on that particular stretch of shops, but there are plenty of similar offerings nearby. It does not seem that unreasonable an application, although it will be a change of use that might concern the immediate neighbours. Representations, however, must be made by today (the application was submitted before Christmas). The other licensing matter concerns Best One (now trading as Thirsty Camel) at 246 Lavender Hill. This is a review of the licence against the prevention of crime and disorder licensing objective after ‘illicit tobacco products’ were found on the premises. 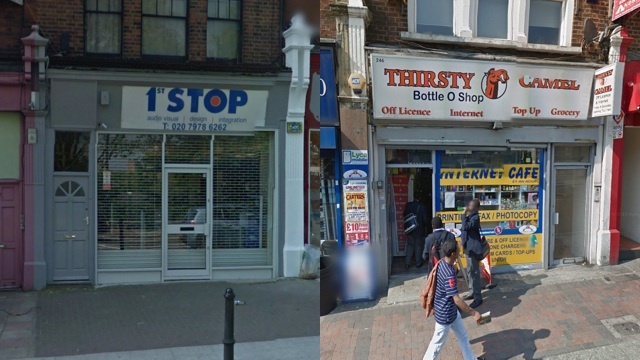 This particular branch of Best One has previously found itself the subject of a review back in 2011 after it was caught selling alcohol to underage customers. The closing date for representations on this review is 30 January.